This magical work of art celebrates the universal wonder of treehouses and all the adventure that live among branches. 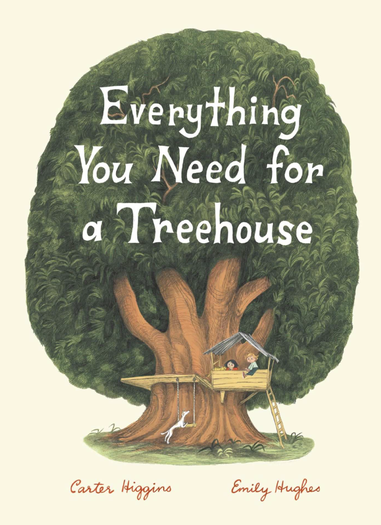 Everything You Need for a Treehouse by Carter Higgins, illustrated by Emily Hughes. In lyrical prose, kids dream up wondrous treehouses and the adventures that accompany them. Picture book for ages 4 and up.